Pleasance Courtyard – The Grand (Venue 33), 60 Pleasance, EH8 9TJ. 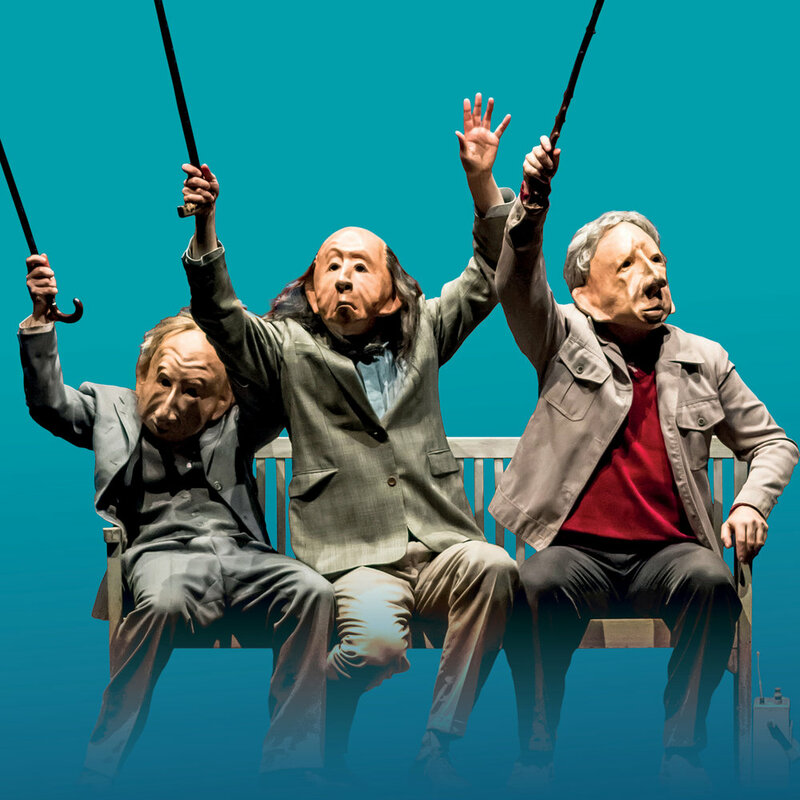 After sell-out success of Hotel Paradiso and a five-star hit with Teatro Delusio, Germany's mask theatre masters return to the Fringe with their next brilliant, visual comedy. In Infinita, a cast of irresistible, larger than life characters are seen both as warring children and as residents of an old people's home. The wily games of nursery one-upmanship seem hardly to change with the passage of time. Survival of the craftiest is still the rule of the day. Infinita plays out in a succession of increasingly hilarious scenes, combining poignancy, astute observation and some superbly skilled slapstick. At the end of a performance one could swear that the actors had spoken, laughed and cried. A fascinating experiment in theater that is executed with incredible body control. Familie who? It’s the Berlin artist collective whose mask theatre is causing furore and selling out theatre houses in the whole world. The public squeals with enthusiasm, people stomp their feet and, when it is all over, they stand on their chairs as if thanking the performers for the gift they have just received. Theater can be magnificent. The roars of laughter encroaching from every side, whether hysterical howl or drawn-out, knowing sigh, truly were bolts out of the theatre sky, thundering into the hall without advance warning. A creation of great poetic power that will long be remembered.